Amanda's life is a zoo. For real. Her family owns the Noble's Ark Zoo, and it's equipped her with a particular set of skills. She can worm goats, bottle-feed a sick chinchilla, and wrangle a wayward snake with her eyes closed. But when her father becomes a local TV celebrity where he's pecked, clawed, and pooped on for Central Florida's viewing pleasure, she's not sure how to cope with it. Change her name? Move to another city? Then there's Kyler. He's her best friend - the guy who taught her to belch the alphabet kind of friend. And friends don't date friends. Right? I know what you're thinking. An audiobook review from me? It's a rare thing. I usually have a hard time concentrating on audiobooks, although I do enjoy them, but I really felt like listening to this one for some reason and I'm so glad I did because I adored the story. The start was a bit slow for me but after the first 30% or so I could hardly stop listening. I did guess how things would end up going but I didn't really mind because this book was such a joy to listen to. The title of this book probably says it all, this is about a 15 year-old girl named Amanda Noble that lives in a zoo, which I think is such a cool concept. Now I kinda wish I lived in a zoo... But anyway, back to the story. I absolutely loved Amanda and her snark. Aside from the living in a zoo thing she seemed a pretty typical teenager with a dad who was a bit clueless and dorky and crushing on her best friend, Kyler. The story really starts getting interesting mobsters start showing up and Amanda gets involved in a mystery that may or may not include a murder. The secondary characters were all pretty loveable. I really liked Amanda's dad even though he was a bit clueless at the start. I loved that he was a bit of a hero at the end, though. With Amanda's best friend, Kyler, I went back and forth. Sometimes he was just a typical clueless teenage boy that kind of frustrated me but other times he seemed like the smartest person out of whole cast. I even liked Vanessa to a certain point because she did seem to want to be really friends with Amanda. I was a little surprised by how suspenseful this book actually was. Especially towards the end the suspense was kicked up a notch and I just had to know how it would end. I loved that. And another thing, this story was HILARIOUS. I can't remember the last time I laughed so much with a book. The things Amanda says and the shenanigans she gets into are too funny for words. I laughed out loud several times. I also feel like I have to mention that there was a Harry Potter reference once or twice, which made me smile. And even if the story doesn't hook you right away, the end of chapter 6 definitely will! 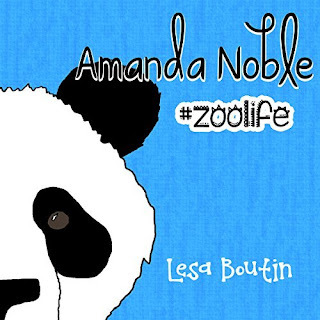 Amanda Noble, #Zoolife was the first book I have listened to that was narrated by Katherine Littrell. I loved the voices she did for each character, especially when she did accents. I just loved that. 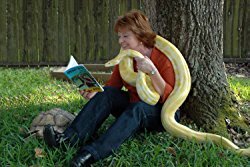 I'd definitely want to listen to more books she narrated. I literally have nothing negative to say. She did such a good job! If I said I enjoy my own company, would I sound like a narcissist? Maybe I should say I love the company in my head. I can't remember a time in my life I wasn't imagining myself in other places, meeting new people, and living wild adventures. The problem was, I lived in the woods. Not the country or the forest where cute little animals frolic, but the woods where there's nothing but trees, and brambles, and bugs, and snakes, and wild animals, and, well, etcetera. So, my head was my favorite place to be. As a young adult, I only wanted to read adult novels, which is odd since now, as an adult, I only want to write Young Adult novels. The coolest thing about being a writer is that I get to become all the things I dream of. If my character lives in a zoo, I volunteer at the zoo--scooping goat poop. If my character is a ballerina, I tour the Houston Ballet Academy and get to know a real-life ballerina. 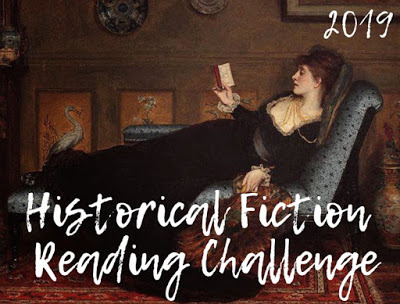 I haven't quite decided on writing fantasy yet. Not sure I can be trusted with a magic wand. I did not expect you to say that this was suspenseful! It actually kind of sounds heartwarming from the blurb if anything!